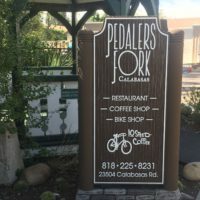 A restaurant, bike shop and coffee shop combine under one roof at Pedaler’s Fork in Old Town Calabasas. Friendly faces greet incoming visitors and offer outdoor or indoor seating, both of which are adorned with old photos and bike models that are aesthetically pleasing. Views of the quaint city can be seen from any seat in the restaurant. The spacious venue offers a menu with a wide variety of options for meat lovers, vegetarians, vegans and those allergic to gluten. The extensive selection of entrees ranging from salads to sandwiches, can be overwhelming at first glance. 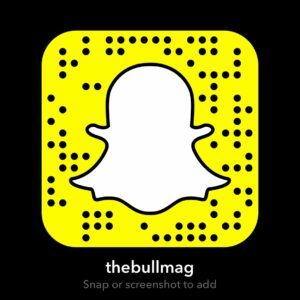 Executive chef Dan Murray tests food boundaries throughout the menu, putting a spin on many traditional dishes. A popular starter that is large and filling enough to eat as a meal itself is the avocado toast. Sourdough bread topped with avocado, cucumber and zaatar combine in a satisfying and unique taste. 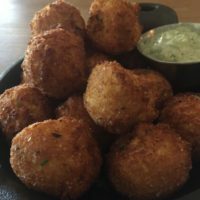 The curried cauliflower fritters, a starter served with yogurt raita, transforms the once bland vegetable into an appetizer bursting with an unexpected yet enjoyable flavor. It may be surprising to discover that the baby kale salad is a vegan option. Almond cheese serves as a replacement for the original parmesan and a vegan-friendly dressing is used. The restaurant also gives the option of adding tofu, salmon or chicken to all of the salads. The dessert section of the menu doesn’t offer as many choices, but still provides guests with a selection of delicious options. The flourless chocolate cake tops off any customer’s meal with a sweet and rich taste that can be enjoyed by kids as well as adults. A disappointing item on the menu is the vegetable pizza. 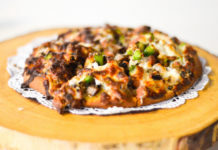 Sun dried tomatoes, squash, zucchini and cheese topped on the dough add color to a dish that lacks flavor and tastes more like a dry vegetable flatbread than the classic Italian favorite. With reasonable prices, a simple three-course meal at Pedaler’s Fork is affordable. 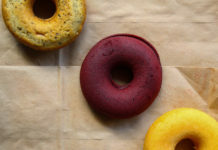 The cheapest items on the menu, the avocado toast, soup and salted caramel bread pudding are $7, and the most expensive dish, a large family-style platter of meat and chicken, is $68. The restaurant serves lunch and dinner Monday to Friday from 11 a.m. to 10 p.m. 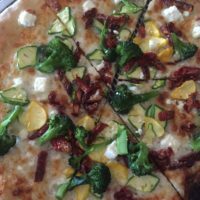 The peaceful and trendy environment, friendly service and diverse menu at Pedaler’s Fork make it a great place to spend an afternoon or an evening with friends and family. 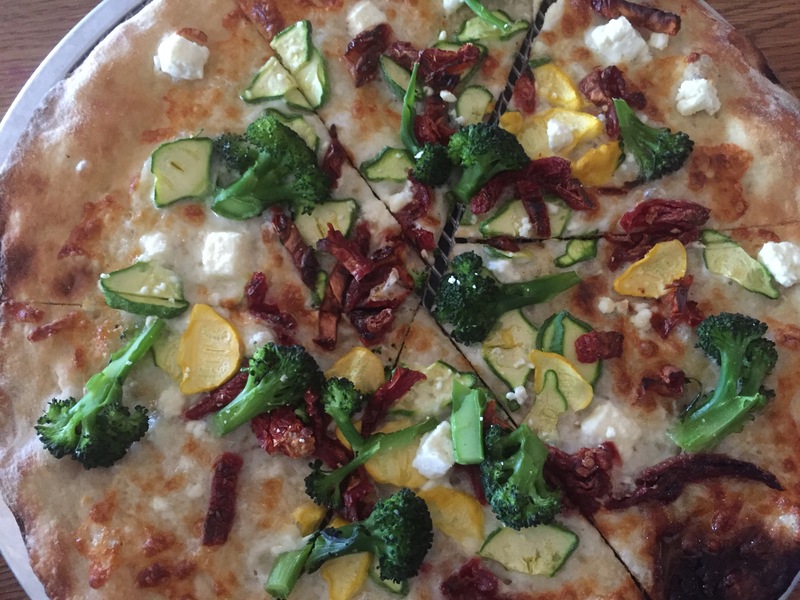 Squash, zucchini, sun dried tomatoes and broccoli top the restaurant’s vegetable pizza. 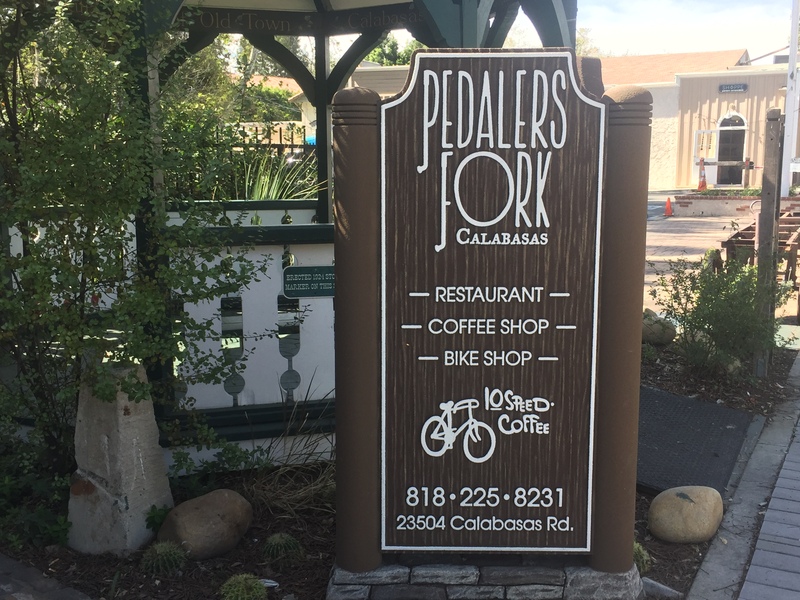 Pedaler’s Fork is located at 23504 Calabasas Rd. 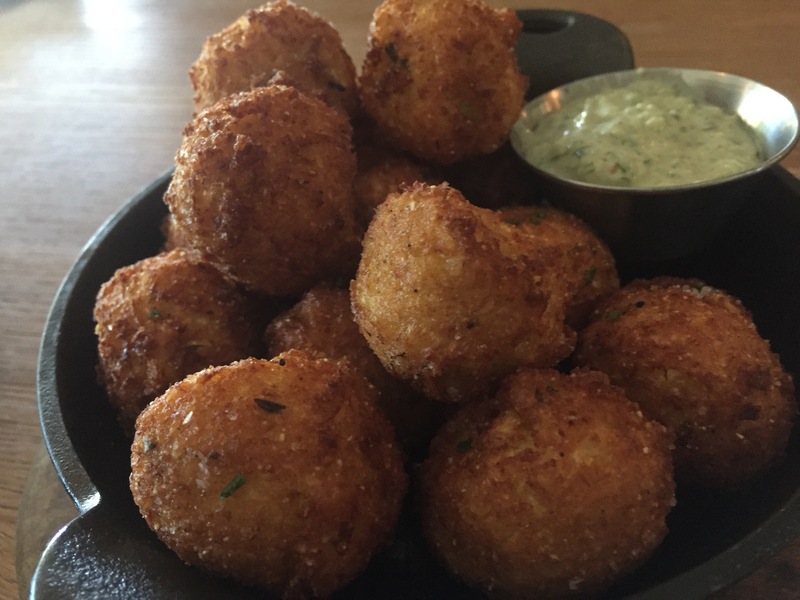 Executive chef Dan Murray’s curried cauliflower fritters served with yogurt raita are pleasing to the eye and satisfying to the stomach.